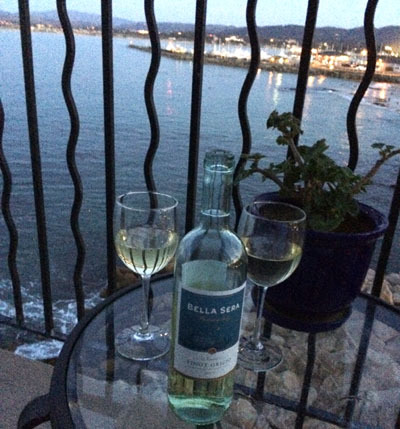 Remember those television commercials several years ago for Bella Sera Pinot Grigio? The couple who picked up the bottle found themselves on the terrace of a beautiful seaside villa overlooking the Mediterranean at sunset. That commercial is in part responsible for the fact that when we buy wine for our getaways one bottle is almost always Bella Sera. Such was the case when we had our anniversary getaway to Monterey last week. We had a marvelous time. 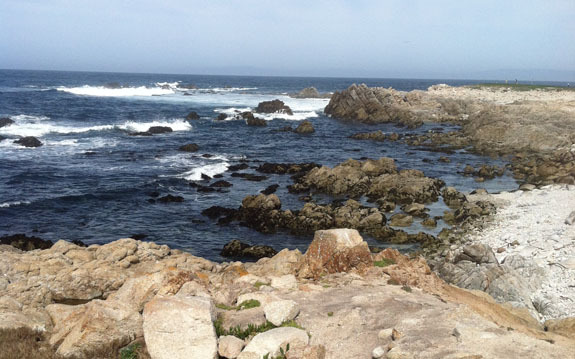 We had a great afternoon Wednesday at the Monterey Bay Aquarium and a wonderful stay at the Monterey Bay Inn. We had a superb anniversary dinner on Wednesday at Schooners, where I had made-to-order clam chowder with fresh clams still in the shell, a first for me. 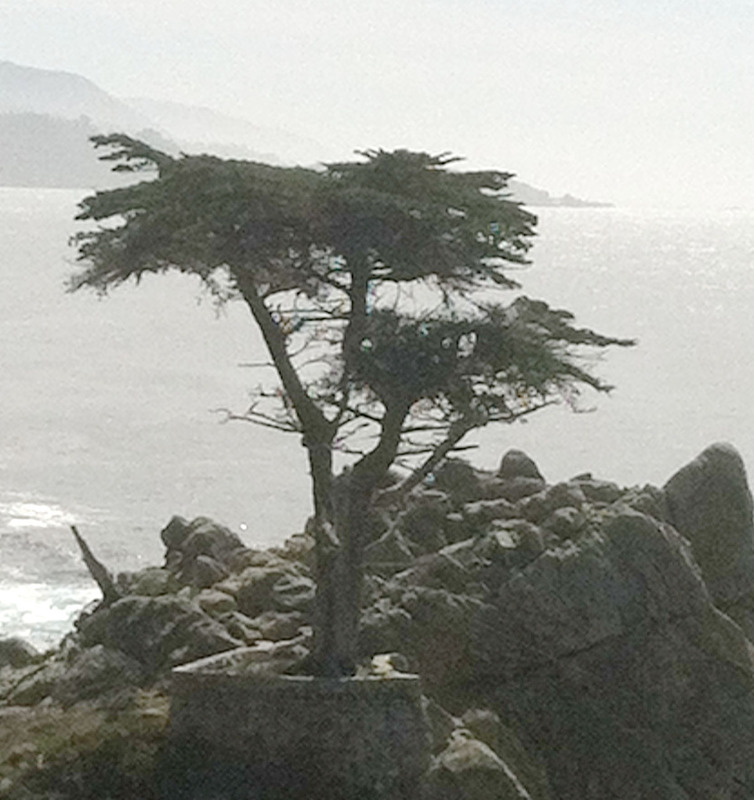 We enjoyed a fun morning Thursday at Point Lobos. Wednesday evening, however, we came about as close as possible to that scene from the Bella Sera commercial while remaining in California. It was a first-rate twentieth anniversary getaway.